Description : Bonga Kudi is a Santali film which was released later as Santali album on 2006. 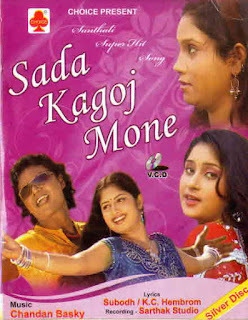 It was directed by Raja Mishra and story was written by Laxman Soren. Chandan Baskey was music director who gave music composition to this album.Where Deepak hembram assisted this album as assist direction . Laxman Soren, Dasarath Singh along with Mohini Hansda were in lead role in this album. There are 8 songs in this album which are quite average . You can listen and download them by just clicking on link below. Description : Bomb Blast Kudi re is a Santali album which was released in 2007. There are 5 songs in this album, which are quite good. Music composition is also average, songs are modern traditional, there is some songs which are totally modern and beats are very fast. You can listen and download them by clicking on the link below . 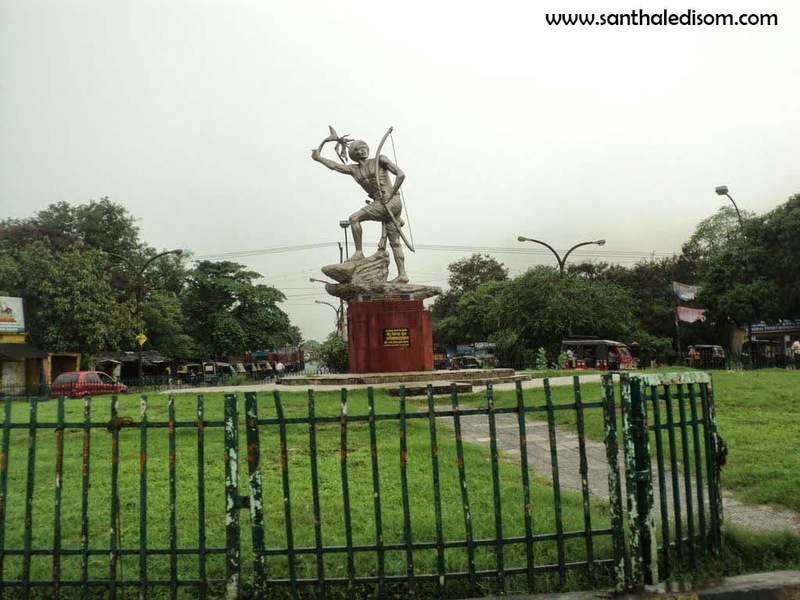 Description: This page contains all the Santali Album, here you can go through the each link to listen Santali songs of all more than 41 albums . Please click on the link in order to proceed with the album whose song you want to listen . Description : Uku Uku is a Santali Album released in between 2006 to 2011, Uku is a Santali word which means 'Hide" in English , This is a very joyous album a must listen songs. Please click on the below link where you can listen the song online and also it facilitate you to download the song so that you could store this in your in digital storage media . Description : Thanda Thanda Cool Cool is a Santali Album which was released in 2006. The album Thanda Thanda Cool Cool was produced by 'Evergreen Music' from Bhubneshwar,Orissa. There are 8 songs in this album which are good to listen. Once must give a try to listen title song of this album . Description : Tetang Jiwi aas re is a santhali album, we're sorry that we couldn't provide you the year of releasing this album, although you can listen the song by just clicking on below link . This album was produced by "Choice ",Kolkata. Description : Album 'Tara tara dular santali album was released in 2008, this album has four songs only, you can listen them by just clicking on the link provided below. The songs are 128 kbps which is quite good for quality . Description : This santali album was released in mid of 2008, Super Model is modern Santali album which was produced by 'Choice' media. You can listen this song by clicking on them or you can save them on your digital media by downloading them. The songs are 128 kbps. 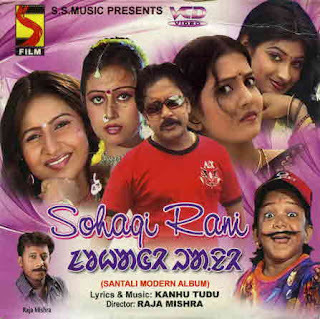 Description :Sohag Rani is a Santali album produced by Gold disc, this was released in 2010, In Santali Sohar Rani means 'Lovely Queen' .There are 7 songs in this album, each song differs from each other thus people who listen this album will definitely get some interesting music within this album. You can listen this song by clicking on the link provided below or you can also save it to your digital media by downloading them.We're sorry for not having more information about Directors but we've listened this song and would like to tell you to listen it once . The songs are 128kbps . Description : 'Sibil' is Santali album which was released in 2008. This album was produced by 'Miru Baha Production. The music beats in this album is bit modern, some songs are mixed with modern traditional where some traditional music instruments were played along with modern instruments. However the song composition is nice, we would like you to listen this song once. You can listen them by just clicking on the link provided below or you can save to your digital media by downloading them. The songs are 128kbps only. Description: The Sedae Gaate is Santali album which was released in the year on 2010 ,its a traditional santali album but songs there are not completely traditional. This album contains simple music beat with traditional instruments. Music part of this album is really good where traditional flute has taken the main role of playing soul of this song in background. Tumda tamak also beats simple with playing flute to fill in. If you like to listen soft Santali music with playing flute to fill in , you can listen the songs in this album also you can download them. 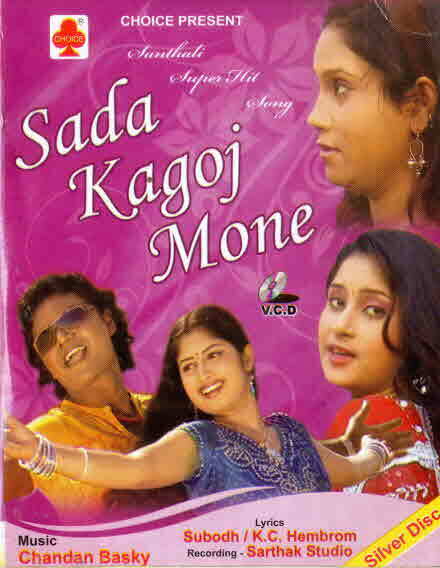 Description: This album 'Sada kagoj mone re is a santali album which was produced by Choice production, and it was directed by Jayanta and edited by Sangeeta. It was released in 2008.The songs in this album are very nice and soft, Santali singer Sawan has sung some song in this album, the title song of this album 'Sada kagoz re' is sung by Sawan and Usha. There are 7 songs in this album which you can listen them easily by just clicking on the link provided below or you can save them by just downloading them. The songs are 128kbps. Description : Roop Tam Jhalkawena is a Santali album which was released in 2009. It was produced by 'Choice production'. This album has seven songs which are different from each other, and sound quality is quite average. You can listen and download them by clicking on the link below . Description : Road Rani Chok Mok is a Santali album which was released in 2010, it was produced by Miru baha production, There are seven songs in this album , all the songs in this album are modern traditional. They are not completely traditional thus those who love listen to traditional might disappoint from this album, although if we talk about composition of songs is quite nice and those enjoy to listen modern traditional songs this album will be going a right choice for them, you can listen this song by clicking on the link provided below. we are sorry for not having any more information about the album. Description : Puylu Njepel is a Santali album which was released in 2009 and is directed by Raja Mishra. This album was produced by 'S.S Music' . All the songs in this album are very nice, there are 8 songs in thi album, there is all type of mixture in this album which means love,romantic emotional and comedy songs are also there in this album . If you love to listen various type of songs this album might come across your need. You can listen and download them by clicking on the link provided below . The songs are 128kbps. Description : 'Okoy Hirla' is santali short film whose songs are provided below, it was released in year of 2006 and was produced by 'Gold Disc'. The songs composition is very nice, some are traditional. It was written by Charles Tudu . The songs in film were sung by Lukas Tudu,Teresa Marandi,Alias Tudu, Sriphul Marandi, Theophil Hembrom,Urmila Kisku .This film was directed by Ratan Maitra. You can listen or download them. Description : Oh My sweet heart is Santali album which was released in 2010. It was produced by 'choice'. There are 8 songs in this album. Songs were mainly sung by Sawan and Rani. The songs in this album have love,romantic, emotional types. Sawan has sung some song in this album which sounds very natural with traditional instruments although all the songs int this album are traditional, some are modern traditional. You can listen and download them by link provided below . Description : O Dulariya is Santali album which was released 2011, there are 8 songs in this album. We're sorry we don't have much information about this album . But it was produced by 'Choice' production. Songs in this album are quite good,people who like to listen old santali song might come across it. You can listen this song by clicking on them. 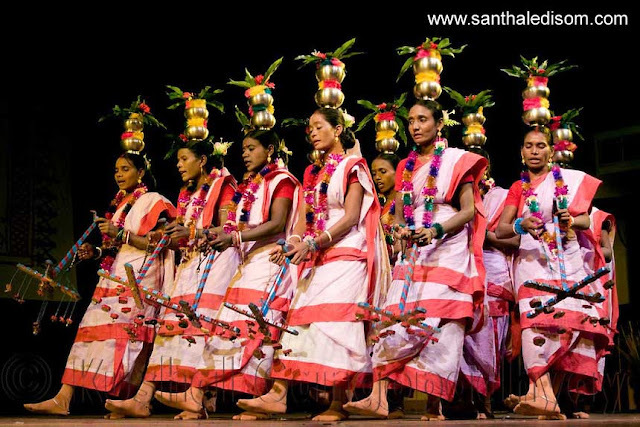 Description : Jhakas Kudi is a Santali album which was released in 2009. It was produced by Sur Sangeet. Raja Mishra directed this album and music was by Kanhu Tudu .Songs were written by Mamina Tudu,Ratharaj Murmu, Kanhu Tudu and Damodar Tudu. There are 8 songs in this album which are very beautiful. Ae Salma is must listen song in this album. There is classical mixture of music with traditional song in this album . You can listen and download them by clicking on the link below.